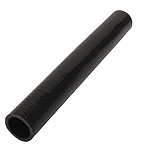 Black radiator hose set for the 1928-31 Model A Ford. Made just like the old originals. Note: The 1928-29 Model A had a shorter top hose, you you might want to trim a little off. Hose clamp set for the 1928-34 Model A and B Four cylinder engine. The original type hose clamp, just as Ford used. Two large for the top, and four small for the bottom. Made in USA. UK made genuine Jubillee Hose clip set for the 1928-34 Model A and B Four cylinder engine. Top Radiator Hose 12 inch long, for the 1932-34 Ford with the 4 cylinder engine. Also works well, if you have a model B engine in your model A.